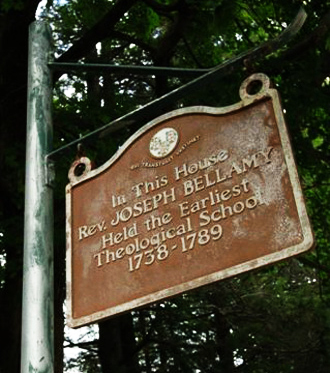 Reverend Joseph Bellamy was born in 1719 in Cheshire, Connecticut. He was to go on to become a leading preacher, author, and educator in New England in the second half of the eighteenth century. In 1735, aged just sixteen, Bellamy completed four years of study at Yale University. Following graduation, he studied theology for a year and a half with the prominent minister Jonathan Edwards of Northampton, Massachusetts. He also boarded with Edwards, who later in life became a friend and a colleague. He was licensed to preach when he was just eighteen years old, and from 1740 until his death in 1790, he was pastor of the Congregational church at Bethlehem, Connecticut. Bellamy’s theology was rooted in Puritan beliefs, yet he molded the religion to fit the people rather than having the people fit the religion. His sermons reveal his knowledge of the Bible and theological debate, but also human nature. Bellamy believed in the traditional Puritan doctrines of original sin, the lack of free will, the need for saving grace, and God’s arbitrary choice in granting salvation. He also maintained the view that an excess of material goods and worldly influence corrupted us. Bellamy warned listeners to resist worldly temptations and to be serious about their duty to God. Without doubt, he was one of the strongest orators of his time; powerful and dramatic. With the approval of his congregation, Bellamy traveled extensively throughout Connecticut. Over a two-year period in the early 1740s, he spoke over 450 times. The “Great Awakening,” as it was known, also drew extremists which led to Bellamy, Edwards and others, to return to their parishes and give up itinerant preaching. Bellamy settled back in Bethlehem to a more normal minister’s work of preaching once or twice a week to his own parishioners. Around this time Bellamy became the leader of the New Divinity ministers, who shunned the beliefs of the “Old Light” preachers (who dominated congregational theology prior to the Great Awakening). The main difference between the two was that Old Light preachers believed that God chose people to be saved in a predetermined manner, while the New Divinity ministers believed people choose God to achieve salvation. Bellamy published twenty-two books in his lifetime, the most influential of which was True Religion Delineated, (1750), through which he became a theologian of renown. He taught theological students who studied and boarded at his home, and they settled not just throughout New England but also in the middle colonies. His writings, together with his pupils, gave Bellamy greater influence than he would otherwise have enjoyed as a congregational pastor. 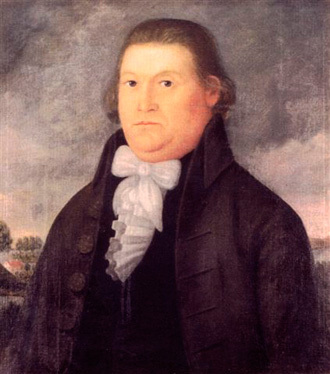 Bellamy married Frances Sherman of New Haven, Connecticut, with whom he had seven children, including David Bellamy, who became a prominent local merchant and Connecticut legislator. Frances Bellamy ran an efficient household, and was clearly held in warm regard by Bellamy’s colleagues who always asked him to pass on their kindest regards to her. Despite being a strict puritan and to all intents, a stern man, his letters to his children reveal a different side. He was a warm loving father and when one of his sons, returning unharmed from the Revolutionary War, contracted smallpox and died, this had a profound impact on both Bellamy and his family. Bellamy was offered a position in New York - a large promotion - and he canvassed opinion widely. He wrote to several colleagues and sought the counsel of his congregation. Following his son’s death the family had an understandable fear of smallpox which was widespread in New York. Eventually, Bellamy chose to stay in Bethlehem. 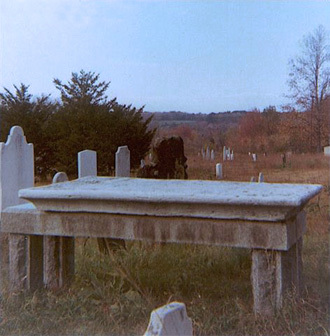 A year after his wife’s death from cancer in 1785, he married Abiah Leavitt Storrs. But by this time Bellamy’s health was failing. Following a stroke, his last few years were frustrating as he was unable to write having lost dexterity in his fingers. 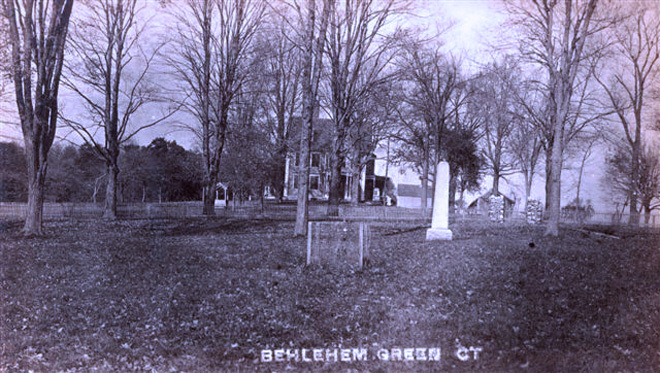 Upon his death in 1790, Bellamy was buried in Bethlehem’s Old Burying ground on Bellamy Lane. 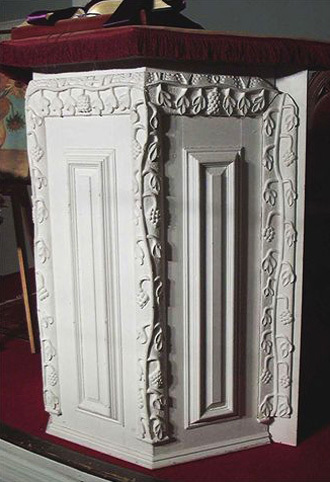 To find out more, visit the Bellamy-Ferriday House and Garden. Despite being a leading pastor, no portraits of Joseph Bellamy are known to survive. If you are aware of the existence of one, then please contact us at editor@onenewengland.com.